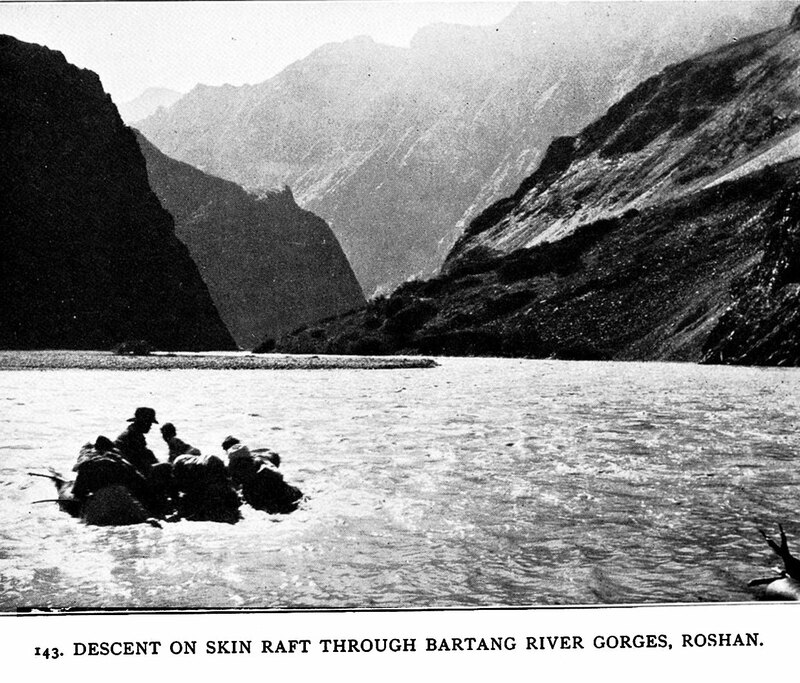 On Central Asian Tracks 143 - Descent on skin raft through Bartang River gorges, Roshan - Stein never hesitated for such means of travel - note his similar river expeditions on the Indus. Roshan is located on the right bank of the Oxus where it bends 90% from north to west - it is adjacent to and north of Sughman, both now in theTajik republic. The Bartang is a tributary of the Oxus.